Are you looking to get better connected at Five Forks? Interested in meeting the staff and taking a tour of the church building? Or maybe you recently started attending Five Forks, over the last year or so, or tried one of our services and have some questions? Then you are invited to join us for lunch! We (the Pastors and staff) are interested in connecting with you and food always seems to be a great way to do that! 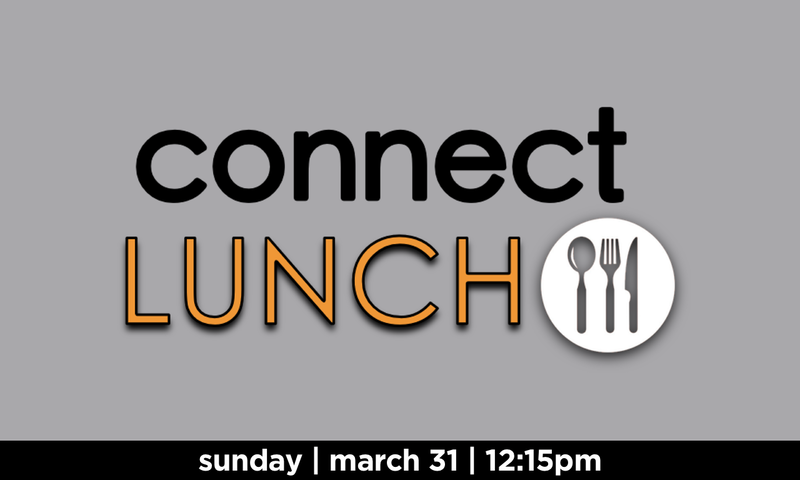 We will be hosting a CONNECT Lunch after the morning services on Sunday, March 31st and we’d love for you to join us. At the conclusion of the meal, we will break down into groups of 6-10 and one of the staff will take you on a short but informative tour of the church. The lunch will begin at approximately 12:15 in the Multi-Purpose room (Café/Gym). We generally are wrapping things up around 1:45-2:00. It’s very casual and always a good time. If you’re able to attend, would you please respond by Wednesday, March 27th and let us know how many of you are coming, so that we know how much food to prepare? You can email Pastor Shaun at shaun@ffbic.org, or you can call the church to let us know you’re coming: 717-762-2991, or stop at the Connect Station on Sunday morning and fill out a response card! Children are invited and after lunch can either play in the gym or go on the tour. Thanks, and we hope that you will join us.